​As designers and makers of two and three dimensional art, our principles are grounded in simplicity and form. 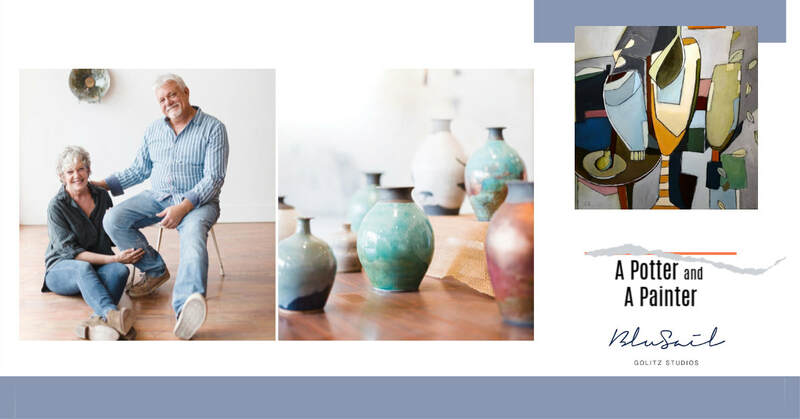 Our functional pottery line reconnects others to lifestyle and sustainable products in today's time. Production begins in our studios located on the coast of North Carolina. Handmade functional and decorative pottery with a focus on form. ​We welcome custom and wholesale inquiries. BluSail featured in Our State magazine! 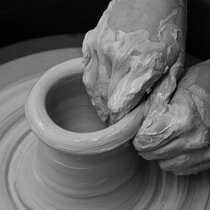 Our Pottery on the Wheel class is designed to teach the fundamentals of throwing, centering, finishing, and glazing of the vessel. This is an 8 week class providing 20 hours of instruction. Clay and glazes are provided. The student will need a pottery tool kit available from BluSail. $250. Call 252-723-3271 to register. Wednesday nights 6:30-9:00pm starting March 13th. Glaze it. Fire it. Take it home. That's what you can expect from Raku Night. 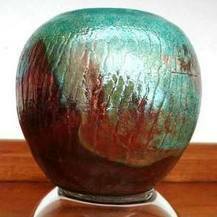 We'll start with a bisque fired vase that you glaze to your liking (colors, patters, textures, wax resist and more). Then off to the outdoor Raku kiln to begin the firing and reduction process. Take home your pot and enjoy! ​Reservations required. $35. Call 252-723-3271 to register. Saturday, February 2 from 6:00-8:30pm. 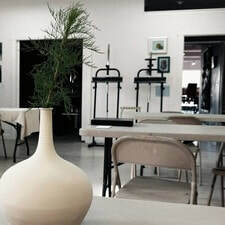 Our open studio painting session is geared to the multi-level student who is to enhance their painting skills, is looking to learn new mediums and techniques, or is looking to start painting. This is a hands-on and collaborative class. Student provides all painting supplies. Standing and table top easels provided by us. Thursdays 1:00-3:00 pm. $20 per session. No registration required. 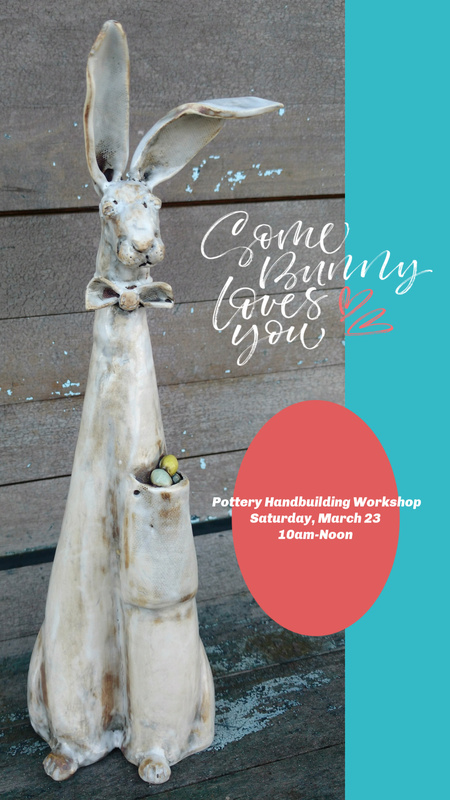 What a wonderful way to to end our Wintertime Pottery Handbuilding Workshops than with this adorable bunny! Approximate size: 13" tall. Easy to build! So, let's spring into Spring, everybody! $45pp. Saturday, March 23rd from 10:00am - Noon. Reservations are required. Please call 252-723-9516 to register. ​This is a complimentary art class specifically designed for those people who are undergoing cancer treatments and their caregivers. Healthcare providers are on hand. We thank Oncology Services of Carteret Health Care and The KellyWagner Foundation for their generosity in partnering with us. The last Tuesday of every month from 2:00-4:00pm. No registration is required. Our Kids Summertime Art Camp is a great way for young artists to create. We feature pottery, painting, and other artistic projects that kids love. Registration is required. Stay tuned as we will announce in March this year's theme and camp dates.